Visit us in Denver or Lakewood! We are confident that we can provide the eye care you need. Below you'll find a list of some of the key eye care services that our optometric Practice offers. Comprehensive eye exams for adults and children, co-management of laser vision correction surgery, caring for eye emergencies and so much more. The optometrists in our Practice provide comprehensive eye care to patients of all ages including treatment for a range of conditions including glaucoma, diabetic retinopathy, dry eye, cataracts and macular degeneration. Learn more about what problems can be spotted with an eye exam, what’s involved in a comprehensive exam, and special considerations for kids and contacts. Did you know your optometrist can help you with red eyes, pink eye, or sore eyes? You don't have to go to your primary care physician for help with these issues. Including Glaucoma, Macular Degeneration, and Cataracts. Used to detect diseases such as diabetes and macular degeneration, it is critical to confirming the health of the retina, optic nerve and other retinal structures. Dry eyes result from the chronic lack of lubrication and moisture on the surface of the eye, which can cause minor irritations, an inability to wear contact lenses and an increased risk of corneal inflammation and eye infections. If you're ready for an alternative to glasses and/or contacts, LASIK may be the right solution for you! Look to us for co-management of LASIK, cataract, and other ocular surgery. Eye injuries range from the very minor such as getting soap in your eye, to the catastrophic such as chemical exposures or lacerations, which could result in permanent loss of vision. Find out when to seek immediate medical care. Annual eye exams are vital to maintaining your vision and overall health. 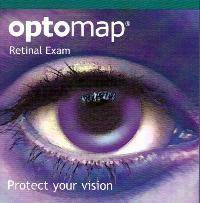 We offer the optomap® Retinal Exam as an important part of our eye exams. Sports eyewear can give you the performance edge you're seeking for just about any sport (tennis, racquetball, etc.) or recreational activity (hunting, fishing, etc.). It can also provide the safety and eye protection you need as well. Measures the quality of your side vision (peripheral vision). Usually involves covering one eye and focusing the other on a fixed point in front of you, while describing what you can see on the “periphery” of your vision. Cataract surgery removes the natural lens of the eye that has become opaque, and replaces it with a synthetic lens.